In a culture starving for truth, God is calling us to do more than read His Word, He is calling us to know it and live it. That's why Explore the Bible provides book-by-book Bible studies for kids. Each session takes participants deep into Scripture, revealing context essential to understanding the text's original intent, and promoting transformation through God's Word in everyday life. Explore the Bible will take kids on a journey into Scripture to see the Bible in a way that kids will want to dig deep. Kids will explore the people, places, and objects of the Bible in historical context and compare them to modern day life. 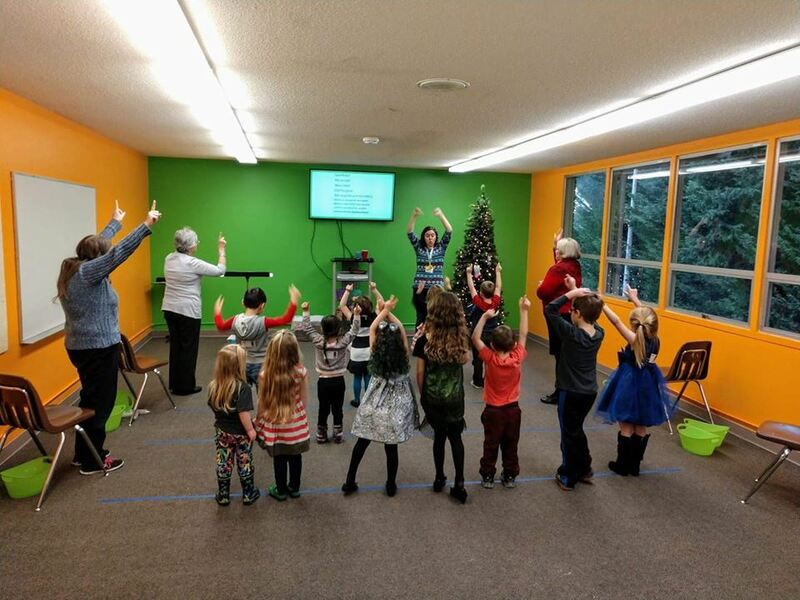 Kids aren't just learning the Bible, they're experiencing it. Check out this video to learn more about Explore the Bible for Kids! ​Read our monthly Family Newsletter to stay current on all things FAMILY at Camas Church of the Nazarene. 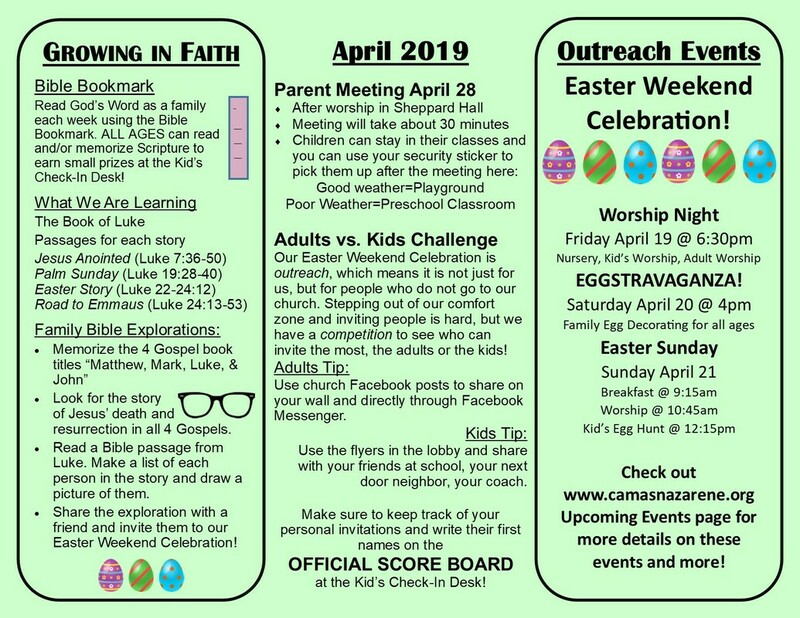 Grab a copy of our monthly Family Newsletter at the Kid's Check-In Desk at church or sign up here to get a copy by email each month. As a measure to keep your kids safe, we have implemented a secure check-in system. When checking in, each child receives a sticker with their name, class times, allergies, parent/guardian phone number, and randomized code. The adult checking in the children also receives a sticker with the same code as all of the children they checked in. The adult sticker MUST be shown to each child's teacher as they are picked up at the end of the service. To ensure the safety of all of the children, we ask that adults check in their children with the correct information and use the adult code sticker when picking up their children. THANK YOU for helping us keep kids safe!